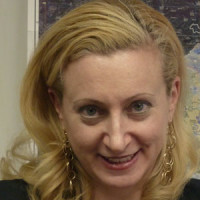 Lara Friedman on the ADL's Top 10 list of "Issues Affecting Jews in 2012," and its most glaring omissions. The ADL came out last week with its Top 10 list of “Issues Affecting Jews in 2012,”a list that conspicuously omits mention of many of the most troubling issues affecting Jews this past year. Below is a list of the most glaring omissions. 1. Settlements and the occupation. Jews around the world found it increasingly difficult in 2012 to make the case that the current Israeli government has any interest in peace with the Palestinians, given Israeli policies whose goal appeared to be to make the occupation irreversible. Indeed, in 2012, faced with a growing chorus of voices arguing that, given the changes on the ground, the two-state solution is already dead (a theme settlers themselves seized on in 2012), Jews who defended Israel's commitment to the two-state solution increasingly sounded like members of the flat-earth society. 2. Price-tag. The growing lawlessness and violence of some Israeli Jews was chilling in 2012. Jews, especially Israeli settlers, regularly attacked innocent Palestinians and their property, and even IDF soldiers. Israeli authorities seemed powerless—or unwilling—to stop them, even as these attacks crossed the Green Line and targeted churches and mosques inside Israel (the ADL was troubled enough to condemn such attacks last week). In Jerusalem, 2012 saw lynch attempts by Israelis against Palestinians. 3. The erosion of respect for the rights of women in Israel. 2012 was a year in which ads with photos of women were defaced and ripped off walls in Jerusalem. A year in which Israeli women were told to move to the back of the bus. A year in which Israeli soldiers walked out of events where women were singing. The year when women had to fight “modesty” signs posted in supermarkets by ultra-Orthodox Jews. 4. Rising racism against refugees and migrants. 2012 was a year marked by increased anti-African-refugee actions in Israel. Rallies featured prominent Israeli politicians spouting openly racist slogans. Legislation was enacted that made Israel arguably the least hospitable destination for refugees on earth. 2012 was the year when the Israeli government left African refugees/migrants/human beings trapped on the border without food or water, and barred Israel relief workers from reaching them. It was the year of increasing xenophobic violence, including pogroms against African refugees in Tel Aviv and arson attacks against them in Jerusalem. 5. Threats to democracy and civil society in Israel. In November 2011, the ADL’s own Abe Foxman was sufficiently concerned about anti-democratic trends in Israel that he authored an op-ed entitled, “The Assault on Israel’s Vibrant Democracy.” His worry was well-founded. 2012 saw a seemingly endless stream of anti-democratic legislation in the Knesset, targeting Israeli organizations dealing with civil rights, minority rights, human rights, and peace. This trend is set to get worse in 2013, with the likely election of even more Knesset members who believe democracy means tyranny of the majority and support "rule by law," as opposed to "rule of law." 6. BDS. During 2012, Netanyahu and his fellow travelers appeared determined to do everything possible to strengthen the global movement pushing for boycotts and divestment against Israel—by undertaking acts that were increasingly provocative, by making clear that they felt that nobody would hold them accountable, and by continuing to insist that activism specifically targeting settlements was as anti-Israel and illegitimate as activism targeting Israel itself. 7. Anti-Semitism. In 2012, the “Israel-right-or-wrong” crowd continued to cheapen the very serious issue of anti-Semitism. Some sought to stifle criticism of Israeli policies with the specious argument that anti-Israel activism is synonymous with anti-Semitism. This odious argument was compounded by the continued insistence that Israeli policies and actions—like those that birthed the awful images of Israeli behavior that were recently plastered all over YouTube and Twitter—don’t fuel both anti-Israel sentiment and anti-Semitism. 8. Efforts to quash Jewish voices inside the U.S. 2012 was the year when inside the U.S., there were extremely worrying efforts to stifle progressive Jewish voices (some of which started in late 2011 and continued into the new year) and to undermine U.S. support for civil society groups in Israel. 9. The Gaza blockade. Israel has a right to defend its borders and its citizens. In 2012, however, it became ever-more difficult explain, let alone defend, Israel’s continued blockade of Gaza (now in its sixth year)—a blockade that prevents virtually all exports, prevents movement of people, makes the lives of innocent civilians miserable and that self-evidently has not achieved its ostensible goals (i.e. keeping weapons out of Gaza and weakening Hamas). 10. The rise of right-wing Israel. During 2012, Jews remained mostly liberal and progressive in their values (reflected in the fact that they voted overwhelmingly for Obama). For many of these Jews, the continuing shift toward extremism and intolerance in Israel in 2012 was deeply troubling, as many of the current leaders of Israel manifestly do not share our proud, democratic values. Moreover, Netanyahu and his foreign minister appeared determined to poke fingers in the eyes even of their closest allies, and to treat any criticism as beyond the pale—most recently, by attacking the Obama Administration after it stood with Israel at the U.N., and by accusing European countries of Nazi policies for objecting to settlement expansion. Many of the most powerful leaders in Israel in 2012 (and heading into 2013) sound more like militant Tea Party members than proud Zionists preserving the dream of a secure, Jewish, democratic Israel living in peace with its neighbors. Were these the most important things affecting Jews in 2012? Clearly, such a judgment is subjective. But surely these concerns are more important—for the health and future of the Jewish people—than the Olympic Committee’s failure to commemorate the Munich Massacre (#8 on the ADL’s list).